We've written a lot about the rise of mobile attachments lately. And, unless you've been asleep for the last year, you are aware that "selfies" – in both deed and word – have gone mainstream. 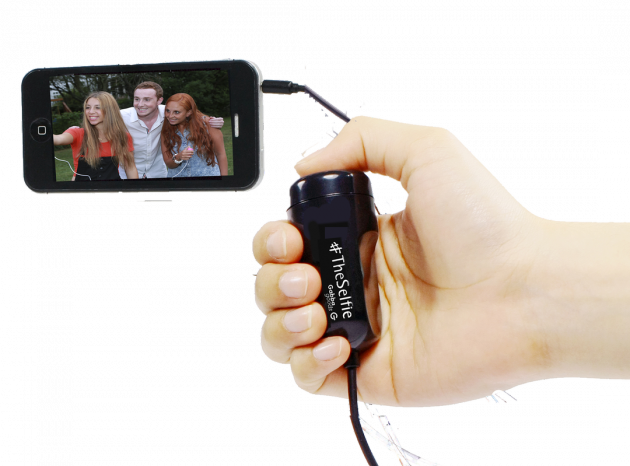 Now the two meet in one on-trend gadget, the #TheSelfie, a remote shutter release that makes it easy to take selfies or group shots. There's no special software necessary. Just plug the cable it into your phone's headphone jack and snap a photo.